Key service providers targeted towards older people in the county include Senior Services, the Shepherd’s Center of Winston-Salem, and the Shepherd’s Center of Kernersville. These organizations have been serving the county for over 30 years and offer a wide variety of supports such as Meals on Wheels, adult day care, caregiver relief, older adult education, transportation, and home repairs to name a few. Leadership from these three organizations have been heavily involved in the research and planning phases of Age-Friendly Forsyth, and have shared a strong partnership over the years. Forsyth County has several other older adult resource and service providing organizations including Hospice and Palliative Care Center, the Elder Law Clinic, the YMCA, Habitat Forsyth, Senior Financial Care, and Winston-Salem Recreation and Parks; as well as a few organizations focused on the arts and creativity in aging for older adults such as the Arts Council, and Second Spring Arts. Additionally, the county is home to the Sticht Center for Healthy Aging and Alzheimer Prevention, and Wake Forest’s Alzheimer’s Disease Core Center- one of the three Centers located in the 12-state Southeast region. A variety of corporate partners have made aging-related challenges a priority and have provided funding for aging research and planning. Historically, Forsyth County government has supported aging issues, with most recently the mayor of Winston-Salem signing the Milken Institute’s Mayor’s Pledge, joining the movement for purposeful, healthy aging and committing to making Winston-Salem better for older residents. The Forsyth County Aging Services Planning Committee hosts the Senior Power Think Tank, led by active seniors and other aging advocates, who regularly meet with the mayor to update him on aging-related issues and needs. 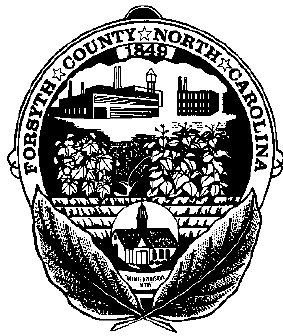 A variety of organizational partners, including health care and other non-profits, corporate, education, and philanthropic agencies, as well as community members, have spearheaded local planning efforts through the initiative, Age-Friendly Forsyth. In order to determine community perspective on how Forsyth County was fairing across a variety of focus areas, a community survey of more than 1,000 residents was conducted, and three World Café-style Community Conversation events were held. Shortly after, key findings were presented to the community through a Planning Symposium, where more than 100 community members gathered to provide direction on priority focus areas for the initiative moving forward. Our community’s next steps include developing Age-Friendly Forsyth into a collective impact initiative where we will convene key stakeholders to begin building out a shared community plan, with the primary goal being to support active and healthy aging by creating a community where people can live their best lives.